Now that CMS has defined the eligibility criteria and billing codes, 2016 promises to be a banner year for low-dose CT lung cancer screening programs. 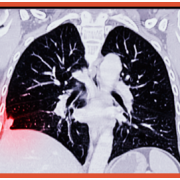 IMV’s Guide to LDCT Lung Cancer Screening 2016, and Spotlight on LDCT Lung Cancer Screening provide help for providers and manufacturers who want to help catch lung cancer early with low-dose CT screening programs. This informative guide will help providers understand what is needed to launch a successful low-dose CT lung cancer screening program. The guide includes typical procedure volumes, anticipated procedure growth, the key elements of a successful program, recommended steps to implement these key elements, links to useful online resources and case studies from four facilities. Learn about the challenges faced by facilities initiating lung cancer screening programs with low dose CT. This spotlight report provides analysis of their experiences and includes recommendations on how manufacturers can help providers as they continue to set-up and grow programs to offer LDCT lung cancer screening.